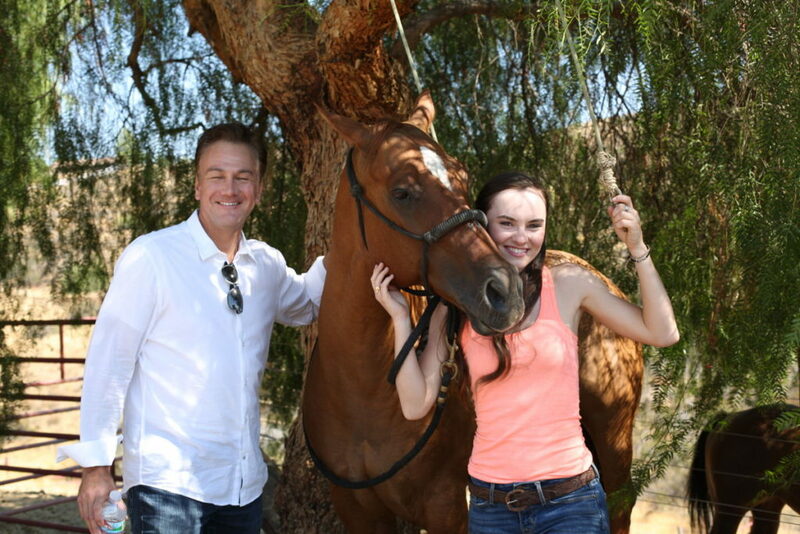 Destined to Ride also known as Pistachio is yet another movie about horses which is absolutely a treat for the horse lovers out there. This genre doesn’t seem to bore and with a little pinch of added drama, this can certainly be a movie that you want to watch on a cosy night. This story also handles the loss of a parent in one of the most honourable ways and the struggle of coping with it. Sadly there are some parts that lower the quality of the movie. Fifteen years ago Lily (Madeline Carroll) lost her mother (Grace Johnston) due to heart failure, she was only two years old when it happened. When she turned seventeen, her father (Joey Lawrence) started to work non-stop so he could provide for her future and college tuition. Lily’s life takes yet another unexpected turn when she ends up at her aunt Glo’s (Denise Richards) ranch in the summer holiday. Expecting her social life to be over, but nothing is less true. The first day she meets some unlikely friends Ava (Cassi Thomson), Jamie (Amber Frank) and Max (Manolo Gonzalez Vergara); who make her feel more at home than she had ever felt. Wanting to ride together with these newly acquired friends, Lily took on more than she could by trying to ride Pistachio, which horribly failed. After getting used to the new environment, she becomes more adapted to the country life and starts with some riding lessons with Pistachio. Slowly they get used to each other. Some social events occur in the next scenes where she learns a new race called ‘Ride and Tie’, where ‘surprisingly’ one of her friends needs a partner for. 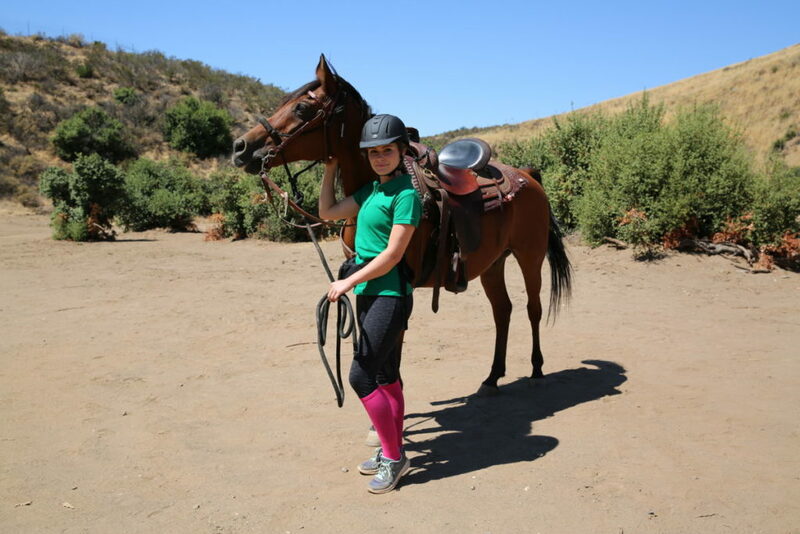 After a while, she gets better at riding and learns more about her mom, Pistachio and herself. Sadly the happy times do not last as Lily managed to get tricked into a bet which leads to a situation where she and her aunt Glo could lose everything. 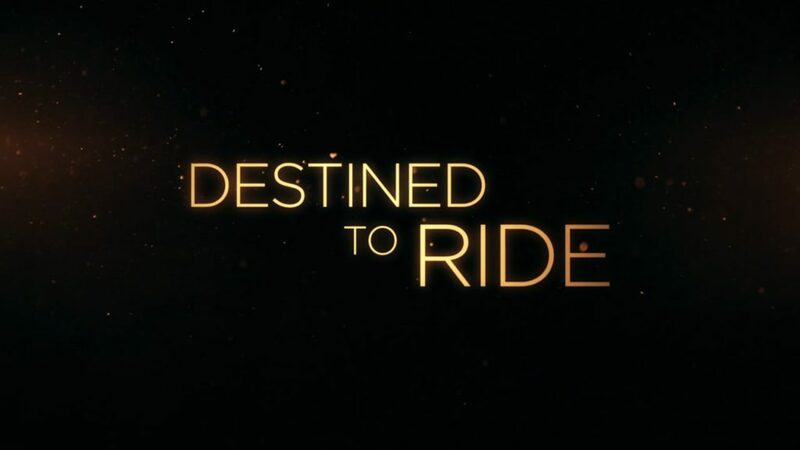 When we look at the flow of Destined to Ride it could be compared to every other drama slash horse movie you ever saw. First Lily comes in a completely new environment, she starts out from scratch, makes friends, learns to ride, troubles occur and after all is well again, everything ends happily ever after. It would have been nice if we saw something original in a movie like this, but then again, looking at the target audience, too many surprises might upset those looking for a feel-good movie. Overall the flow is very predictable, but it does have a certain charm when you’re in the mood for a film like this. That being said, it’s clear that this movie is directed towards fans of somewhat ‘corny’ movies, rather than those interested in a movie that involves a lot of sports with horses. Although Madeline Carroll is an amazing actress she just seems a bit off at certain scenes. This leads to a few parts coming out a little feigned. The acting performance of Cassi Thomson is much more steady and pleasing to look at. The rest of the cast were okay for their roles but brought us nothing special in addition to the movie. The DVD edition of Destined to Ride comes with no special features at all. This movie stands perfectly on its own, because a movie like this doesn’t have any need for those features. Nonetheless, when looking at the value of actually buying a DVD for your collection, small featurettes can also be entertaining, such as deleted scenes or a gag reel. Destined to Ride was a nice movie to look at and perfect for a cosy night of couch sitting. Although we would’ve liked some more unpredictable parts in the movie, it managed to surprise us a few times. The cast of this movie is a bit mediocre, but it’s not that easy to be cast in a movie like this in our opinion. This is because you need to ‘woo’ the viewers with the personality your character got.